Join us for the 2019 Ross M. Lence Master Teacher Dinner, Friday, February 15. Tickets to the dinner are $50 per person. 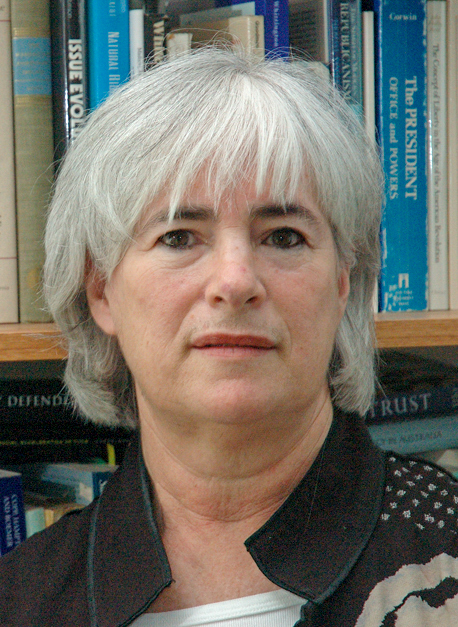 Arlene W. Saxonhouse is the Caroline Robbins Collegiate Professor of Political Science and Women’s Studies and Adjunct Professor of Classics at the University of Michigan where she teaches political theory. She is the author of Women in the History of Political Thought; Fear of Diversity: The Birth of Political Science in Ancient Greek Thought; Athenian Democracy: Modern Mythmakers and Ancient Theorists; and Free Speech and Democracy in Ancient Athens; co-editor of Thomas Hobbes, Three Discourses: A Critical Modern Edition of Newly Identified Work of the Young Hobbes; and author of numerous journal articles and book chapters on ancient and early modern political thought. Read more about Dr. Ross M. Lence here. The Honors College has set a goal of creating a $500,000 endowment to fund this program. To date, we are more than halfway toward our goal, thanks to an anonymous donor. Please contact Hannah Barker at 713.743.3220 or hmbarker@central.uh.edu if you would like further information. The Lence Seminar: "Who Speaks? Reflections on Voice and Logos in Sophocles' Ajax, Plato and Aristotle"
"The Socratic Narrative: A Democratic Reading of Plato's Dialogues"